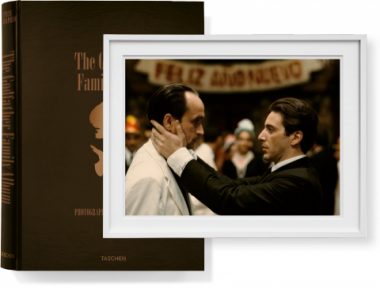 One of the great American works of art, Francis Ford Coppola’s Godfather trilogy is immortalized in Steve Schapiro’simages of the film. 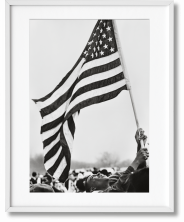 Over 400 of his pictures, many never seen before, make up this photographic journey through the movie’s making and its most iconic moments. 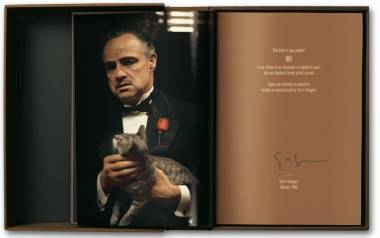 Schapiro’s pigment print Al Pacino accompanies this leather-bound Art Edition, featuring the young actor in his role as heir to a gangster dynasty. 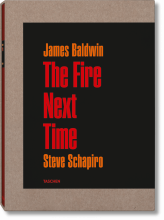 Selections from Steve Schapiro’s photographs provide an insider’s view of the making of the legendary trilogy. With a full leather cover in a clamshell box, this Art Edition is limited to 100 numbered copies, each signed by Steve Schapiro and accompanied by a pigment print on Museo Portfolio Rag paper. 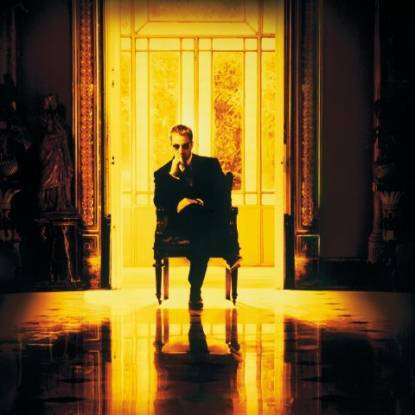 Imagine the experience of witnessing renowned actors as they made their most memorable performances. 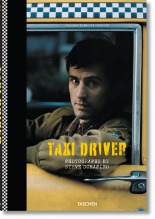 Steve Schapiro has had such a privilege as special photographer on some of American cinema’s most beloved movies. For Francis Ford Coppola’s Godfather trilogy, Schapiro immortalized actors such as Marlon Brando, Al Pacino, Robert De Niro, James Caan, Robert Duvall, and Diane Keaton. 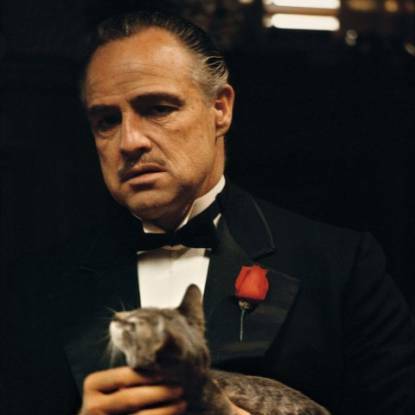 His photographs of the Godfather holding the cat and the whisper in the Godfather’s ear have become iconic images known throughout the world. 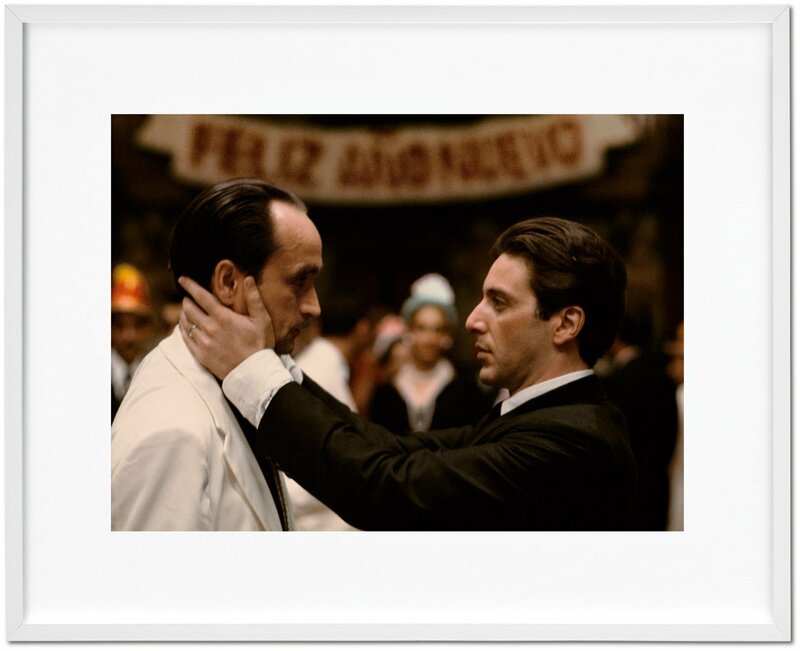 Brought together in a book for the first time is a vast selection of images from all three Godfather films, reproduced from Schapiro’s original negatives. 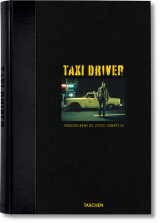 This lavish limited-edition book, which also includes background articles and interviews about the films, contains over 400 color and black-and-white images, most of which have never been published before. 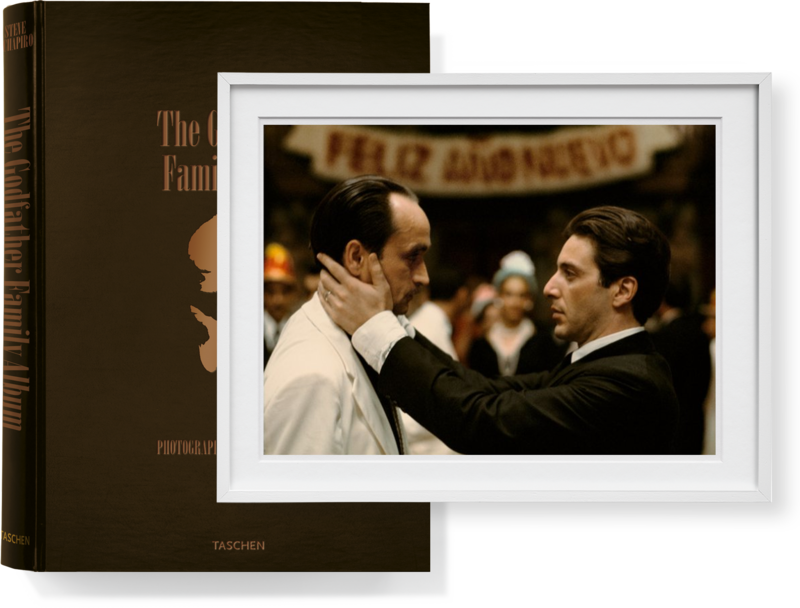 It allows fans a privileged peek behind the scenes at the making of film history, and it truly is a once-in-a-lifetime offer you can’t refuse.